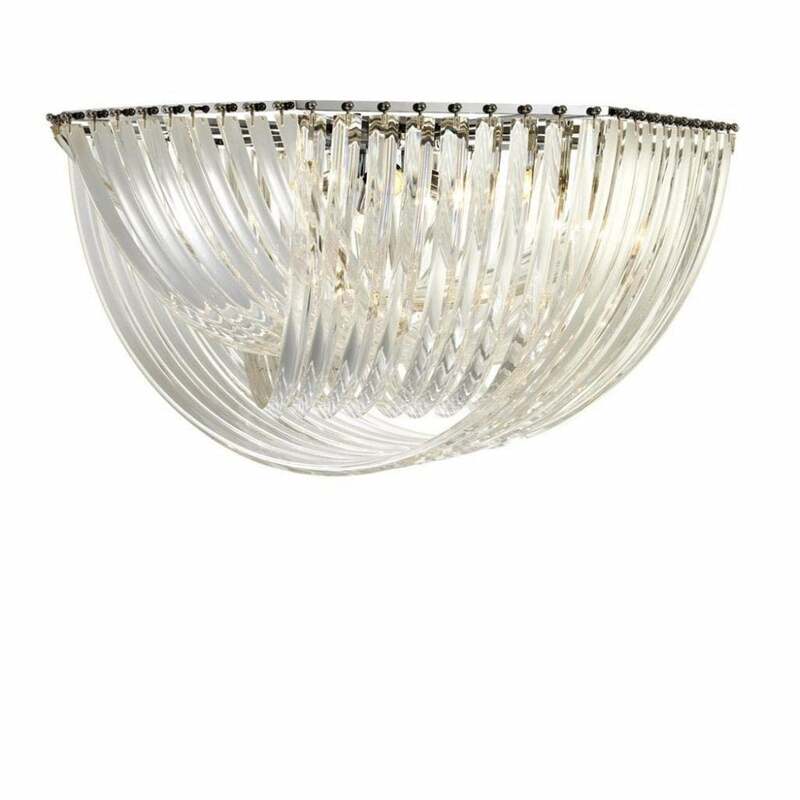 A modern ceiling lamp that evokes vintage Hollywood glamour. The Hyeres Ceiling Lamp by Eichholtz has been crafted by skilled artisans with the utmost precision and care. Reminiscent of a piece of fine jewellery, the clear acrylic shards, drape and twist to create an elegant design. With a polished nickel finish, this eye-catching lamp illuminates and reflects light around your home creating a special ambience. A beautiful addition to dining room or living space, combine in a group of three for a statement lighting display. Each chandelier has a hexagonal polished nickel frame and chain support that can be adjusted to suit the ceiling height. Make an enquiry for more information.